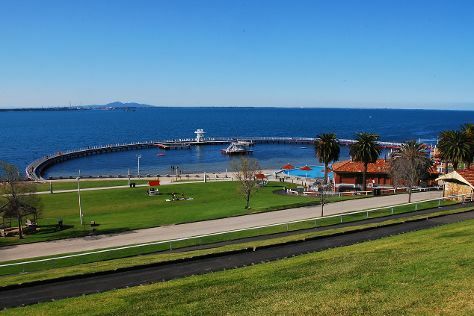 Eschew the tourist crowds and head to Eastern Beach Reserve and Geelong Botanical Gardens. There's still lots to do: take in nature's colorful creations at Royal Botanic Gardens, meet the residents at Melbourne Zoo, learn about all things military at Shrine of Remembrance, and enjoy breathtaking views from Eureka Skydeck 88. To see ratings, maps, traveler tips, and tourist information, refer to the Melbourne trip itinerary planner . Manchester, UK to Melbourne is an approximately 25-hour flight. The time zone difference moving from Greenwich Mean Time to Australian Eastern Standard Time (Victoria) is 10 hours. Traveling from Manchester in December, you will find days in Melbourne are warmer (30°C), and nights are a bit warmer (14°C). Wrap up your sightseeing on the 12th (Wed) early enough to travel to Warrnambool. Warrnambool is a regional centre and former port city on the south-western coast of Victoria, Australia. Explore hidden gems such as London Bridge and Port Campbell National Park. Explore the numerous day-trip ideas around Warrnambool: Bay of Martyrs (in Peterborough) and The Arch (in Port Campbell). And it doesn't end there: look for all kinds of wild species at Thunder point Coastal Reserve, take in the exciting artwork at Warrnambool Art Gallery, and get a taste of the local shopping with Blarney Books and Art. To find maps, more things to do, and other tourist information, go to the Warrnambool vacation app . Traveling by flight from Melbourne to Warrnambool takes 2.5 hours. Alternatively, you can drive; or take a train. Finish your sightseeing early on the 15th (Sat) so you can travel to Cairns. You'll discover tucked-away gems like Michaelmas Cay and Spas & Wellness. Go for a jaunt from Cairns to Palm Cove to see Hartley's Crocodile Adventures about 44 minutes away. Spend the 16th (Sun) among aquatic life with a scuba or snorkeling tour. The adventure continues: enjoy some diversion at Esplanade Lagoon Pool. To see other places to visit, photos, ratings, and more tourist information, read Cairns day trip planner . Getting from Warrnambool to Cairns by combination of train and flight takes about 8.5 hours. Other options: do a combination of bus and flight; or drive. In December, daily temperatures in Cairns can reach 36°C, while at night they dip to 26°C. Wrap up your sightseeing on the 18th (Tue) to allow time to travel to Sydney. Sydney is known for nightlife, trails, beaches, parks, and museums. 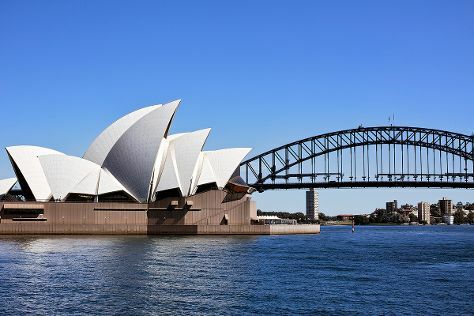 Your plan includes some of its best attractions: see a show at Sydney Opera House, enjoy the sand and surf at Manly Beach, take in nature's colorful creations at The Royal Botanic Garden, and snap pictures at Sydney Harbour Bridge. For maps, other places to visit, traveler tips, and more tourist information, go to the Sydney trip itinerary website . You can fly from Cairns to Sydney in 5 hours. Alternatively, you can drive; or take a train. Prepare for slightly colder weather when traveling from Cairns in December: high temperatures in Sydney hover around 32°C and lows are around 21°C. Cap off your sightseeing on the 21st (Fri) early enough to go by car to Canberra. Start off your visit on the 22nd (Sat): engage your brain at Canberra Deep Space Communication Complex, get engrossed in the history at Australian War Memorial, and then pause for some photo ops at Australian Vietnam Forces National Memorial. 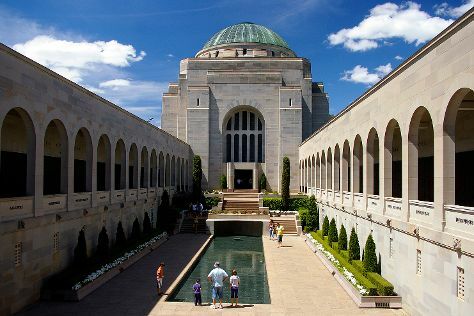 Keep things going the next day: admire the masterpieces at National Gallery of Australia, then trek along ANZAC Parade Walk, and then appreciate the history behind Rats of Tobruk Memorial. To see other places to visit, maps, and tourist information, read Canberra trip itinerary maker website . Traveling by car from Sydney to Canberra takes 3.5 hours. Alternatively, you can take a bus; or fly. Expect a bit cooler evenings in Canberra when traveling from Sydney in December, with lows around 14°C. Wrap up your sightseeing on the 23rd (Sun) to allow time to travel to Hobart. You'll explore the less-touristy side of things at Royal Tasmanian Botanical Gardens and Bonorong Wildlife Sanctuary. 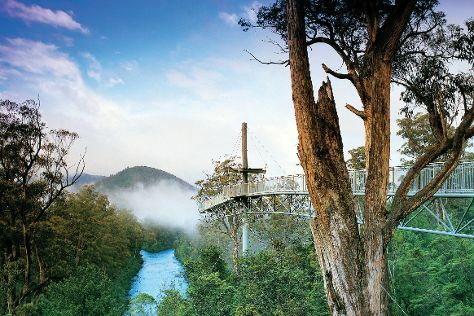 Go for a jaunt from Hobart to Geeveston to see Tahune Forest AirWalk about 1h 15 min away. There's lots more to do: step off the mainland to explore Maria Island National Park, take your sightseeing to a higher altitude at Mount Wellington, take a leisurely stroll along Constitution Dock, and take an unforgettable tour with a helicopter tour. For more things to do, ratings, and more tourist information, go to the Hobart trip itinerary planner . You can fly from Canberra to Hobart in 6 hours. Alternatively, you can do a combination of car and ferry; or do a combination of bus and ferry. When traveling from Canberra in December, plan for little chillier days and about the same nights in Hobart: temperatures range from 24°C by day to 13°C at night. 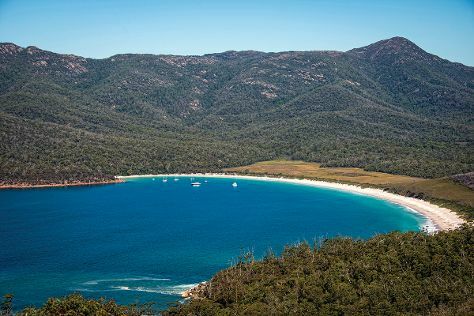 Cap off your sightseeing on the 26th (Wed) early enough to go by car to Coles Bay. Kick off your visit on the 27th (Thu): do a tasting at Gala Estate Vineyard, take a memorable tour with Tours, and then trek along Wineglass Bay Lookout. For where to stay, ratings, reviews, and more tourist information, read Coles Bay day trip planner . Traveling by car from Hobart to Coles Bay takes 2.5 hours. Alternatively, you can do a combination of bus and taxi. Wrap up your sightseeing on the 27th (Thu) early enough to travel to Albany. Start off your visit on the 28th (Fri): see the interesting displays at National Anzac Centre, then contemplate the long history of Princess Royal Fortress, then pause for some photo ops at Desert Mounted Corps Memorial, and finally explore the striking landscape at The Gap and Natural Bridge. 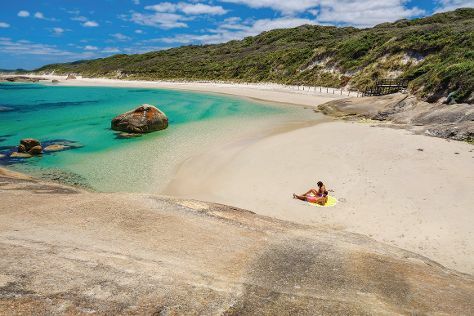 Here are some ideas for day two: kick back and relax at Greens Pool and then explore the striking landscape at Elephant Rocks. To find where to stay, other places to visit, reviews, and other tourist information, you can read our Albany day trip planning app . You can do a combination of taxi, bus, and flight from Coles Bay to Albany in 14.5 hours. Alternatively, you can do a combination of bus and flight. The time zone difference when traveling from Coles Bay to Albany is minus 2 hours. Expect a daytime high around 26°C in December, and nighttime lows around 13°C. Finish your sightseeing early on the 29th (Sat) so you can drive to Margaret River. Kick off your visit on the 30th (Sun): enjoy the sand and surf at Gnarabup Beach and then explore the activities along Bunker Bay. Get ready for a full day of sightseeing on the next day: awaken your taste buds at some of the top wineries in the area. To find photos, maps, other places to visit, and tourist information, read our Margaret River holiday builder website . Getting from Albany to Margaret River by car takes about 4.5 hours. Other options: take a bus. Cap off your sightseeing on the 31st (Mon) early enough to travel to Fraser Island. On the 1st (Tue), contemplate the waterfront views at Lake McKenzie. Get ready for a full day of sightseeing on the 2nd (Wed): explore the activities along Lake Birrabeen. To find ratings, photos, other places to visit, and more tourist information, go to the Fraser Island trip itinerary app . Traveling by combination of bus, flight, ferry, and car from Margaret River to Fraser Island takes 17.5 hours. Alternatively, you can do a combination of car and ferry; or do a combination of bus, train, car, and ferry. The time zone difference moving from Australian Western Standard Time to Australian Eastern Standard Time (Queensland) is 2 hours. In January in Fraser Island, expect temperatures between 36°C during the day and 24°C at night. Wrap up your sightseeing on the 3rd (Thu) to allow time to travel back home.